The BARGAIN BOOK BAG from The Reading Warehouse! Each reusable tote contains an assortment of new hardcover and paperback books. 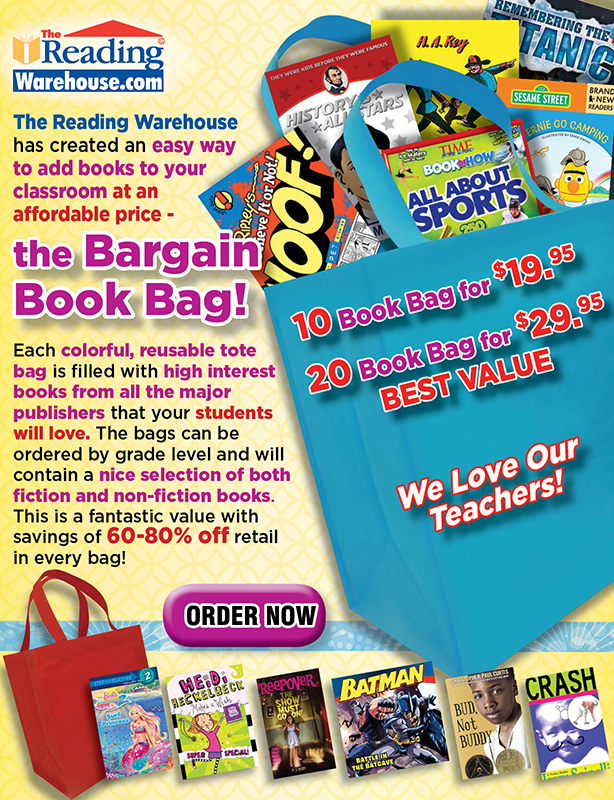 Every bag includes a nice selection of popular high interest fiction and non-fiction titles. This is the perfect way to create or add to a classroom library inexpensively!.